Whether you're a business owner or devoted sports fan, there are many reasons to use your vehicle to promote the message you care about. 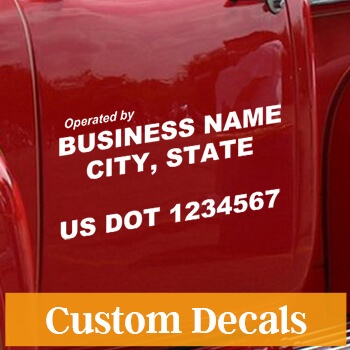 Our custom vehicle signs include car tags, door magnets and bumper stickers. We offer easy-to-customize templates. Just add your image and information!. 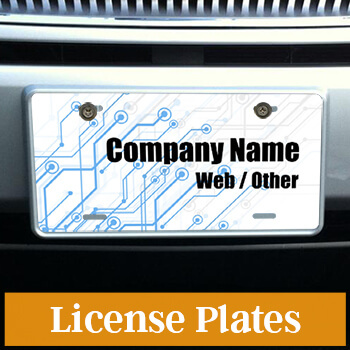 Our business templates for door magnets and license plates include lawn care, car dealerships, pet care and cleaning services. 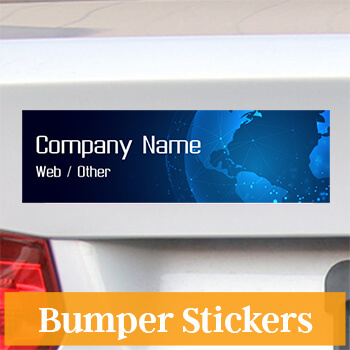 You can create a matching magnet and bumper sticker to ensure your message can be seen from every angle. 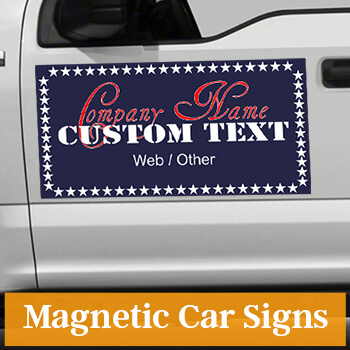 Find all the custom car signs you need to promote your company or cause, right here at CustomSigns.com. You can also design car signs from scratch using our design tool! Upload art, photos, logos or anything that will make your vehicle stand out on the road.